hülsta GENTIS BATHROOM | hülsta - Design furniture Made in Germany. Fascinating contrasts in their best light. Courageous yet down to earth, unconventional yet fitting in effortlessly – the expressive GENTIS series is now also available for the bathroom. Its unmistakable character is unchanged: clean-lined units and impressive individual accents create extravagant combinations. A light fillet that seamlessly frames the mirrors and mirrored cabinets provides an exciting setting. The crisp and timeless design of the GENTIS series is underlined by high-gloss chrome fittings in the family or guest bathroom. Light control allows adjustments from warm to cool lighting, thus creating an individual atmosphere. 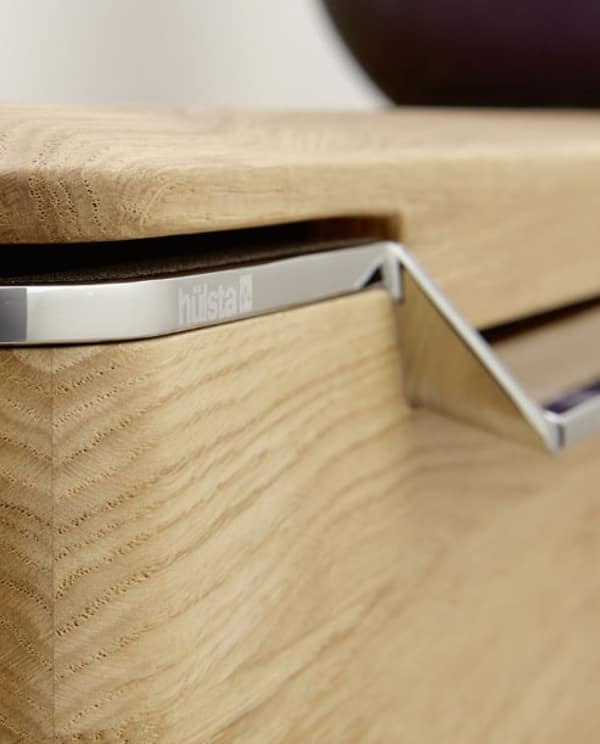 Drawers with intelligent dividers make organising easy and can be opened with a slight push. The successful mix of different materials and modern functionalities allows you to experience the excellent GENTIS design every morning. 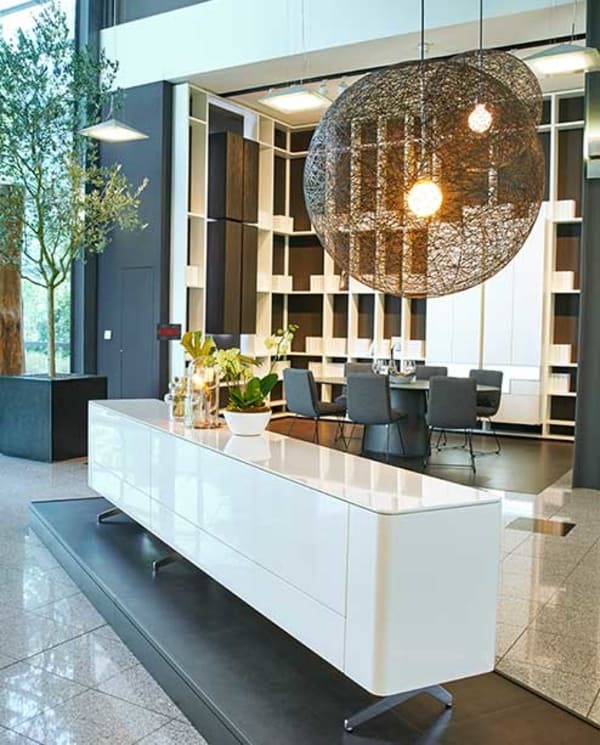 Carcases and fronts in elegant lacquer or contrasting accent units in knotted wood design do not require handles and perfectly blend into their surroundings. Fitted sinks made from Corian or glass are integrated into the carcase, countertop sinks add a clear statement and effortlessly fit into large horizontal architectures. Wall panels made from natural woods complete this perfect, high-quality and contemporary designer symbiosis.